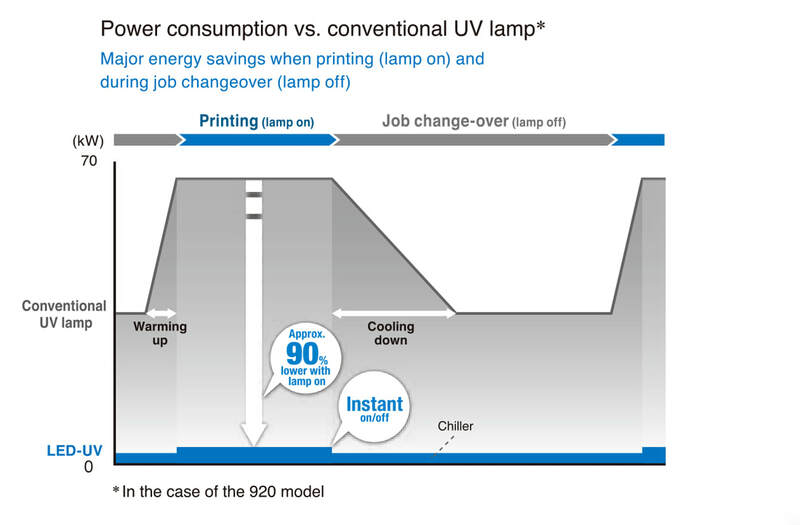 ​Power consumption of the LED-UV curing system is only 10 percent of that of a conventional UV lamp system. In addition, the instant on and off of LED-UV lighting eliminates the need for substantial standby power. ​A conventional UV lamp system's light source lasts approximately 1,000 to 3,000 hours, but the LED-UV curing system's light source has a long life of approximately 15,000 hours. Moreover, a conventional UV lamp system remains lit on standby mode during makeready work, shortening its life, while the LED-UV curing systems remain completely off so light source is unaffected. 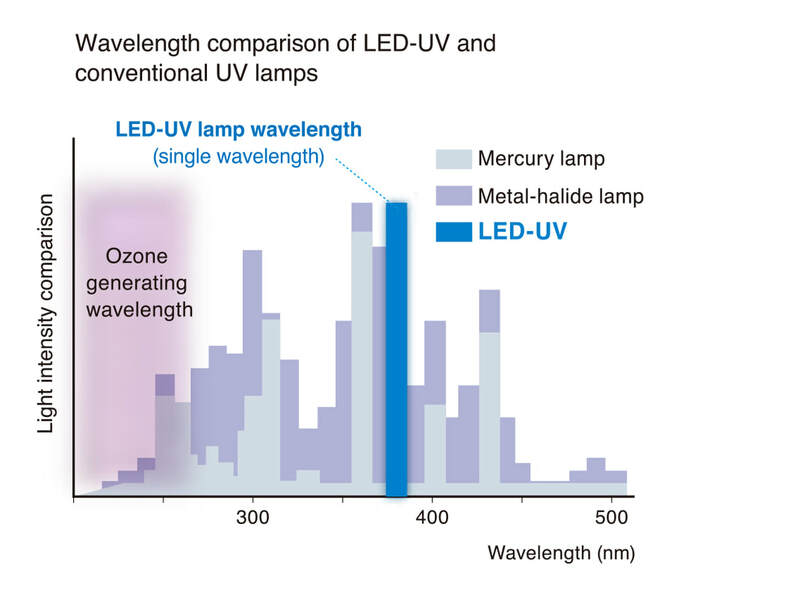 ​The LED-UV operates within a UV wavelength where no ozone is generated, eliminating the ozone odor peculiar to UV printing. The minimal heat generated during curing reduces thermal impact on the printed sheets and eliminates the need for exhaust ducting. ​The growing popularity of the LED-UV curing system has led to a wider selection of inks, varnishes and substrates. An array of high-value-added printing services can be offered by combining special colors such as gold and silver, various varnish coating surface treatments, and printing on special substrates.